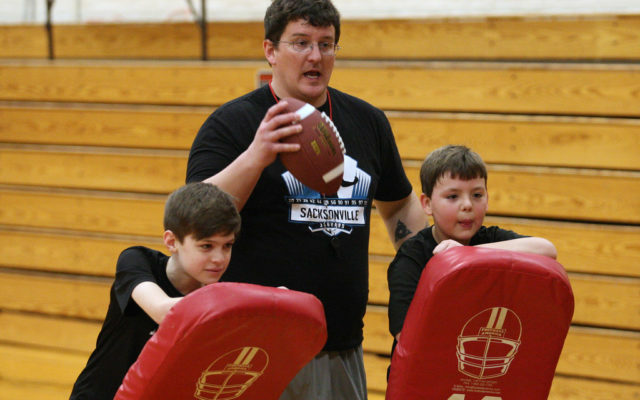 Although there are mountains of snow covering athletic fields, youngsters in southern Aroostook County have been able to try their hand at the sport of football thanks to the Houlton Football Association. 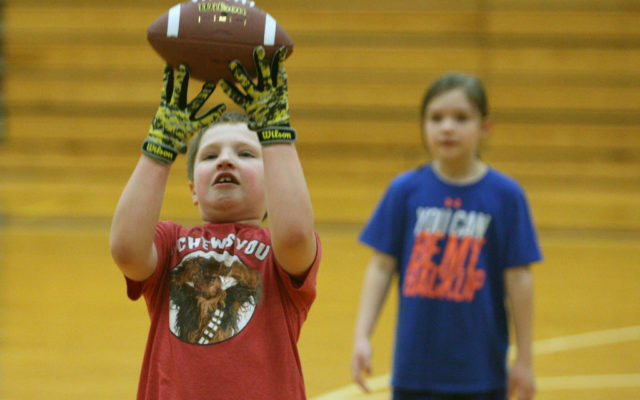 HOULTON, Maine — Although there are mountains of snow covering athletic fields, youngsters in southern Aroostook County have been able to try their hand at the sport of football thanks to the Houlton Football Association. 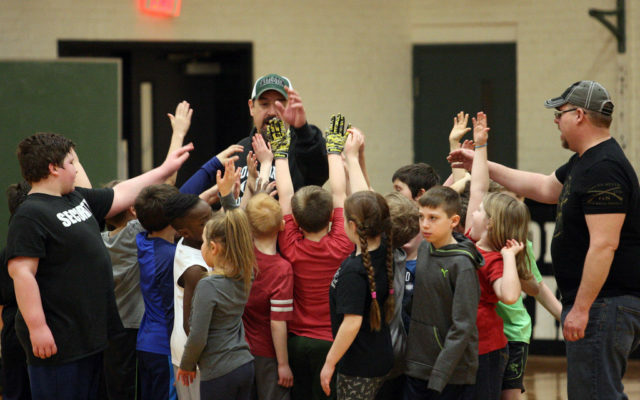 The non-contact clinic is open to players in grades 1-8 of all abilities and interest levels, with a focus on skills and football fun, according to Brian Reynolds, varsity head coach for the Houlton football program. 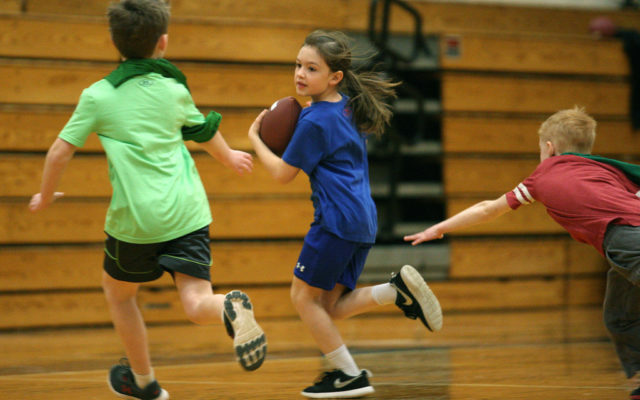 Youths in grades 1-4 were placed in the first session, while those in grades 5-8 participate in a separate session. 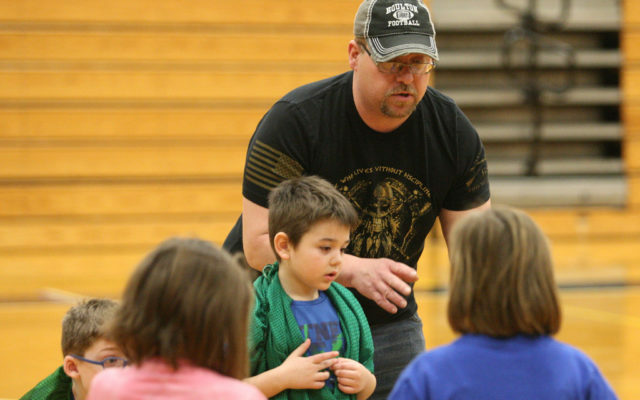 “The goal is to teach the children the importance of laying the foundation for the sport, should they wish to continue,” Reynolds said. The clinic taught fundamentals such as moves, positions and techniques, while doing so in a fun environment. Reynolds said he hopes to continue the clinics this summer, with possibly having a flag-football event. The clinic concludes Saturday, March 23.